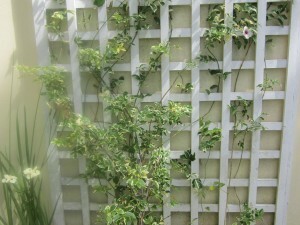 We planted Pandorea Jasminoides “Charisma” against the wall around the pool against the trellises in August. When they were planted they were these small plants that are apparently going to creep up the trellises and give a fabulous display. One Day. When they were planted they looked pretty enough – variegated leaves, nice creeper. I left it at that and forgot about them. 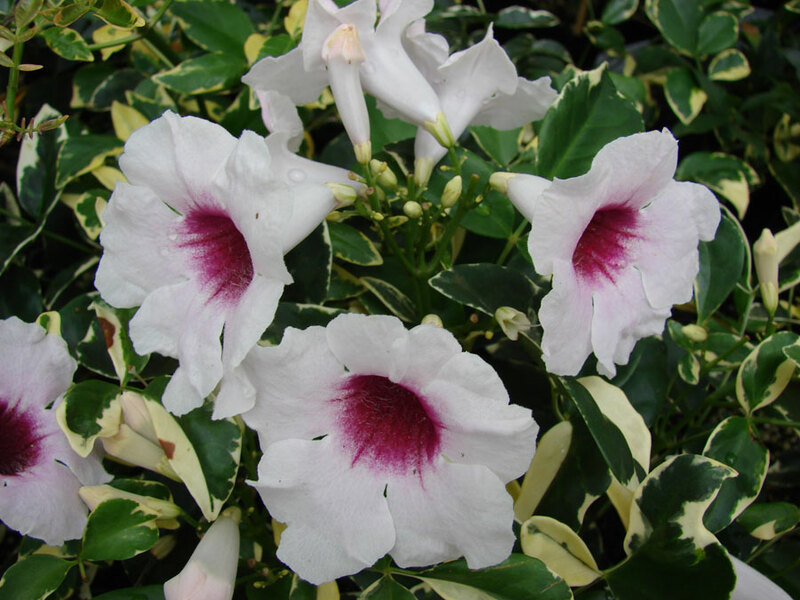 Pandorea Jasminoides or ‘Bower of Beauty’ are a tough native evergreen climber. Pandorea flower from early summer through to autumn with nice pink flowers with a red throat and attractive green foliage. 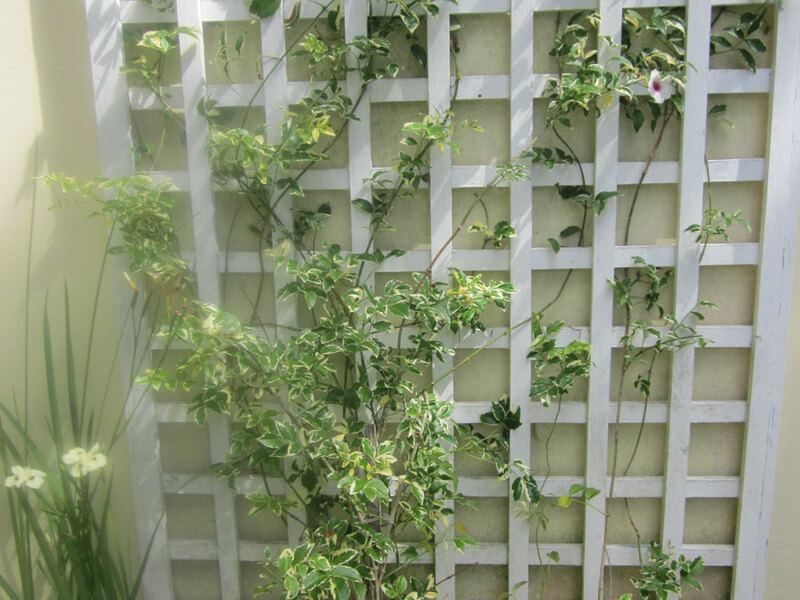 Full sun to semi shade is best for Pandorea Jasminoides where it will develop into a dense screen and is ideal as an evergreen climbing screen. Pandorea or ‘Bower of Beauty’ also comes in a variegated form. Pandorea Jasminoides is susceptible to heavy frosts, water well when establishing but pandorea jasminoides is generally drought tolerant once established. I can’t wait for mine to be growing full and wild like the ones I see on Google when I do a search for “Pandorea Jasminoides”. They look stunning! I wonder how long it will take? I get my 'Chameleon' Plants! I am sure you won’t have to wait too long. Your garden is really showing the rewards of a good garden service. Would love to see the photo’s of them blooming!